Gaia Sky lets you explore our galaxy, the Milky Way. 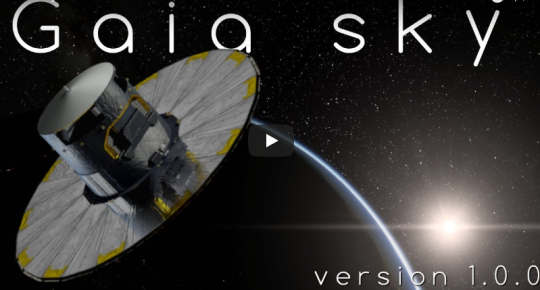 Gaia Sky is a real-time, 3D, astronomy visualisation software that runs on Windows, Linux and macOS. How long might you live? 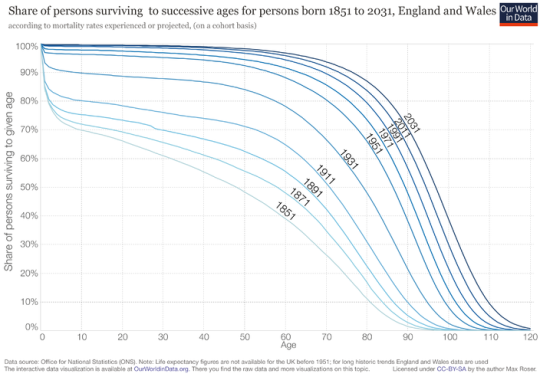 This graphic, from OurWorldInData.org (always highly recommended) shows, for a series of census years from 1851 to (projected) 2031, how many people would survive to each age in England and Wales. Things to note: the terrible effect of child mortality until 1961, and the fact that if you survived childhood, you had a significant chance of living to 60, 70, 80, even in the 19th century. If you’re keen on numeracy, numbers, and fact-based analysis, you’ll have heard of the death of the great statistician and all-round amazing person, Hans Rosling. Gapminder is a website that highlights some of the work and the work of his team, and is well worth a visit. Amazing as it sounds, these leading digits are NOT evenly distributed but follow a pattern (30% “1″s, down to less than 5% “9″s). This pattern is so reliable, it’s been used in fraud detection, to trap companies cooking their books: the invented numbers did not follow Benford’s Law. Follow the link for a fascinating explanation of why this is so. This article about log scales and how to think about them (and how they naturally reflect how we think about big numbers) pretty much nails it, for me. Using log scales is an essential tool in your mental numeracy toolbox. Thank you, too, Vi Hart for your passionate and engaging video on the topic. Wonderful tale by Ben Orlin “Math with Bad Drawings”, of a creature exploring the world of numbers, very much in the spirit of “Flatland”. And then we come to infinity. We don’t come to infinity at all, do we? You Call That a Number? It starts with counting: 1, 2, 3 are what the maths guys call the Natural Numbers. From there it gets more and more UN-natural, all the way to imaginary and beyond, to some very weird structures that still get called numbers.